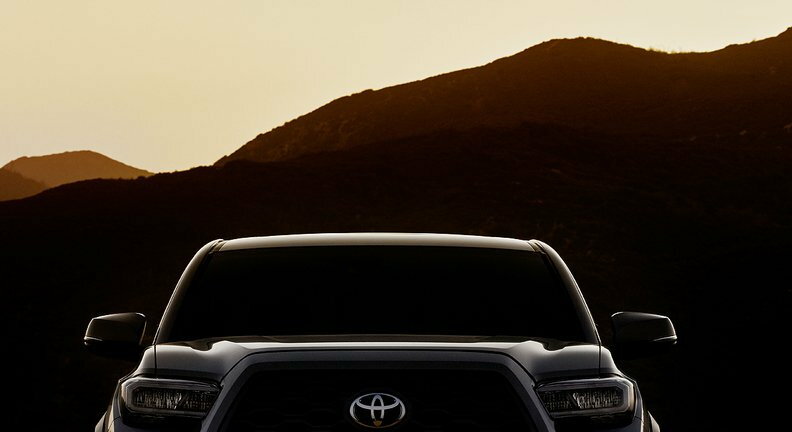 Toyota teases the 2020 Tacoma freshening to be shown at the Chicago show next week. It's finally getting a power driver seat! Crazy that these can stretch over $40K and that was left out. I had a 2011 and loved it. My dad had a 2008 and now a 2016. I drive his 16 every chance I get. Can't wait to see the 2020 changes. It appears the grill is gonna be bigger and the side mirrors will get turn signal lights. Can't wait. Hopefully this Tacoma will surpass the Chevy Colorado and Ford Ranger in quality and ride handling, the Tacoma already surpasses the Colorado and Ranger in sales and resale value. Exciting to see this new Tacoma. The Tacoma has had side mirror turn signals since 2012, at least on the TRD Sport and Off Road trims, anyway. Not sure about the lower trims. My guess is +1hp to make it the most powerful Tacoma ever and new colors. I expect new headlights and tail lights, revised grill and front bumper. Maybe a new color, hopefully a new interior color option. Something akin to the 2012 facelift. Think it'll finally get disc brakes in the rear? I want to say this is great timing either by pre-planned refresh targets, or buy market pressures but the latter would not account for the uptick in sales. never going to happen again. was just looking at the 4runner specs on toyota’s website, it’s so archaic... in the competitive comparison it’s cheaper but lacks so many things compared to the competition it’s laughable. Yet it has the highest resale, excellent customer satisfaction and is selling at all time high numbers. The 4Runner is not for everyone, clearly not for you. clearly it has a market, with many fans, and toyota makes a bundle off it... good for them!